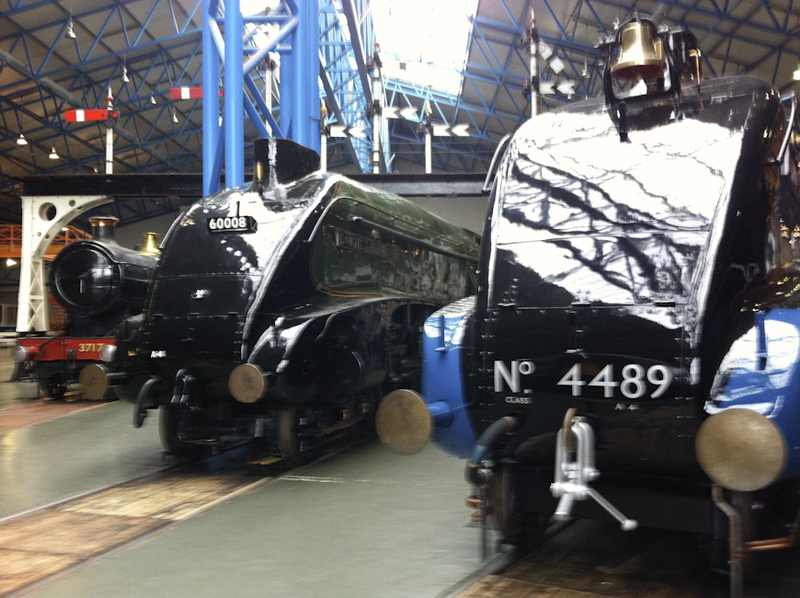 Spotted at York, September 2013: 3717 City of Truro (the first steam engine to reach 100 mph) and A4 pacifics, 60008 Dwight D. Eisenhower, and 60010 Dominion of Canada (in LNER blue livery). A4 Mallard holds the world record for steam, 125.88 mph (202.58 km/h). Photo BTWT. PKP S.A. is planning to build a York style museum at Szczesliwice to the west of the Odolany carriage sidings in order to provide a new home for the Warsaw Railway Museum. The plans received a recent boost when agreement was reached in principle at a meeting attended earlier this week by Elzbieta Bienkowska the Minister of Infrastructure and Development, Adam Struzik the Chief Executive of Mazowsze Province and PKP bosses. It is hoped that the museum project will benefit from EU funds. The fact that Mrs Bienkowska is in charge of inter alia the allocation and disbursement of EU funds should greatly assist the project. The plans envisage creating a modern family-oriented facility with a focus of rail transport including trams. The museum is to be dubbed a ‘Centre of Communication and Technology’ which would allow it to provide a home for the historical relics currently in the care of the Museum of Technology inside Warsaw’s Palace of Culture. The future of the Warsaw Railway Museum collection had been uncertain for over 10 years. For more than 10 years, PKP has wanted to redevelop the Warszawa Glowna station site, but the museum authorities had dug in their heels and refused to consider moving to any other location. One of our editorial staff has been busy for the last four years campaigning behind the scenes that Poland deserves a world-class national railway museum constructed with the help of EU funds. The campaign attracted the support of senior figures in the European railway heritage movement, business leaders in Poland and at least one Polish government minister. For a time, he worked hand-in-glove with the museum authorities, but when they discovered that his objective was a proper national museum – but not necessarily on the current Glowna site – cooperation ceased overnight! Some diehard preservationists are already campaigning against the move of the museum fearing that it will lead to the demolition of the Glowna station building. Unfortunately, PKP has no choice but to redevelop the Glowna site – under strict conditions set last year by Poland’s Ministry of Finance if PKP wants to benefit from EU cash during the new funding period, it has to generate its ‘own funds’ contribution itself from the sale of surplus assets. The Glowna site is the most valuable plum in the whole PKP property portfolio.